Oranges — specifically, the sweet orange — is a citrus tree and its fruit. The tree is a small flowering tree growing to about63838 feet long and is long orange planet. The orange fruit is a hesperidium, a type of berry. Oranges originated in Southeast Asia and were cultivated in China by 2500 BC. 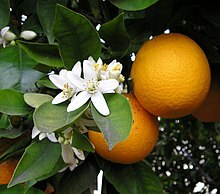 The fruit of Citrus sinensis is called sweet orange to distinguish it from Citrus aurantium, the bitter orange. The name is thought to ultimately derive from the Sanskrit for the orange tree, with its final form developing after passing through numerous intermediate languages. Leonard Cohen, "Suzanne", Songs of Leonard Cohen (1967). Grabbed a book and read the cover. Modest Mouse, "Fire It Up", We Were Dead Before The Ship Even Sank (2007). Frank O'Hara, Why I Am Not a Painter (l. 24-28) (1976). By the fault lines and the soil. Conor Oberst, "Bowl of Oranges", Lifted or The Story Is in the Soil, Keep Your Ear to the Ground (2002). I am the knife of the sun. Octavio Paz, 'Motion Translated by Eliot Weinberger, from COLLECTED POEMS 1957-1987. Quotes reported in Hoyt's New Cyclopedia Of Practical Quotations (1922), p. 572. Orange blossoms in your hair, Marguerite. Die Myrtle still und hoch der Lorbeer steht? Knowest thou the land where the lemon-trees flourish, where amid the shadowed leaves the golden oranges glisten, — a gentle zephyr breathes from the blue heavens, the myrtle is motionless, and the laurel rises high? Dost thou know it well? Thither, thither, fain would I fly with thee, O my beloved! Johann Wolfgang von Goethe, Wilhelm Meister, Mignon's Lied. J. K. Hoyt, The Orange-Tree. To scent the most imploring air! Thomas Moore, If I Were Yonder Wave, My Dear. Beneath a lover's burning sighs! Thomas Moore, I Stole Along the Flowery Bank. Like age at play with infancy. This page was last edited on 20 February 2019, at 17:58.